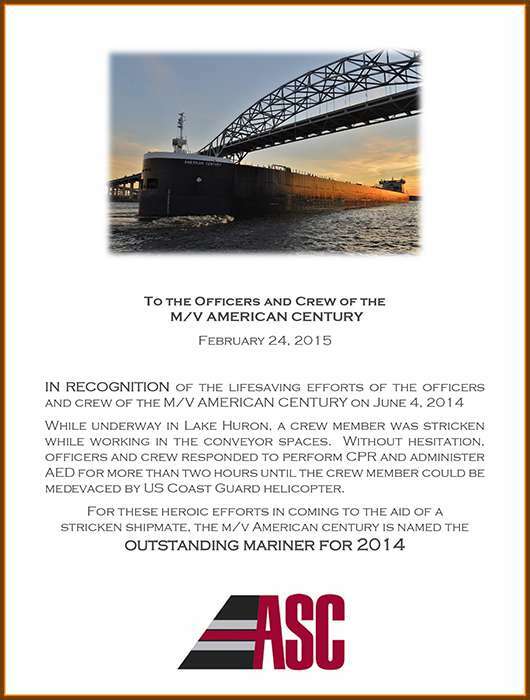 In recognition of the lifesaving efforts of the Officers and Crew of the M/V American Century on June 4, 2014. 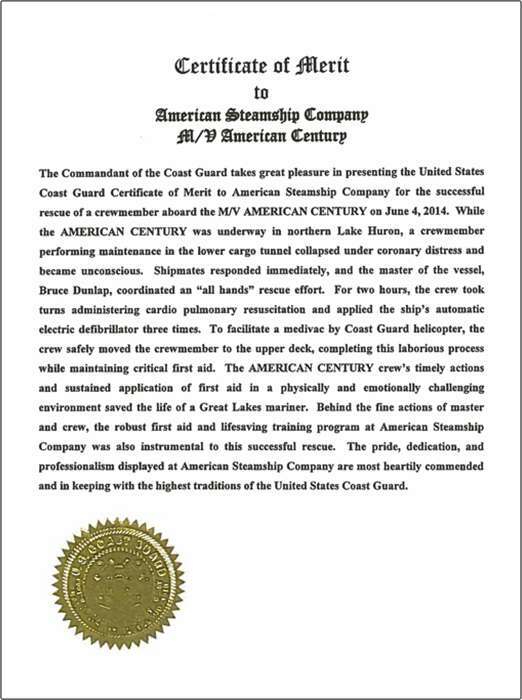 While underway in Lake Huron, a crew member was stricken while working in the conveyor spaces. 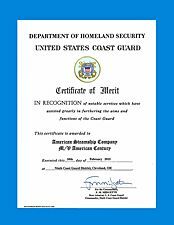 Without hesitation, officers and crew responded to perform CPR and administer AED for more than two hours until the crew member could be medevaced by U.S. Coast Guard helicopter. 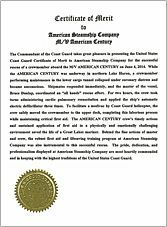 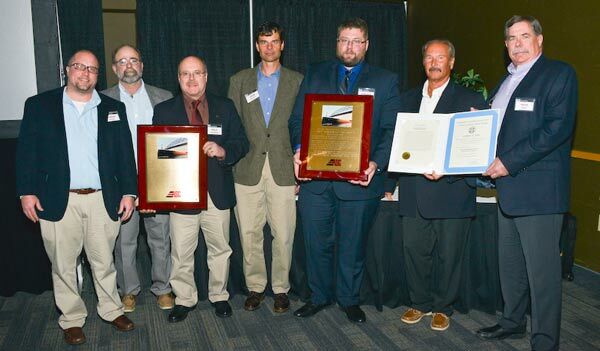 For these heroic efforts in coming to the aid of a stricken shipmate, the M/V American Century is named the Outstanding Mariner of 2014.